ACTIVEWEAR There are 11 products. Sport top made from material that acts like a second skin. Warm sports leggings ideal for winter running and cross country skiing. 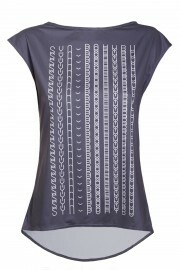 Turqouise workout top with print. 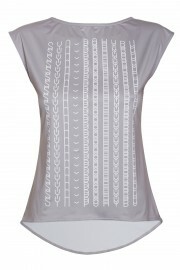 Workout top with geometric print. Minimalist workout T-shirt with extended back. Stylish leggings ideal for yoga, pilates or dancing class.